Portable Plastic Abacus Calculating Tool Only $3.19 + FREE Shipping! 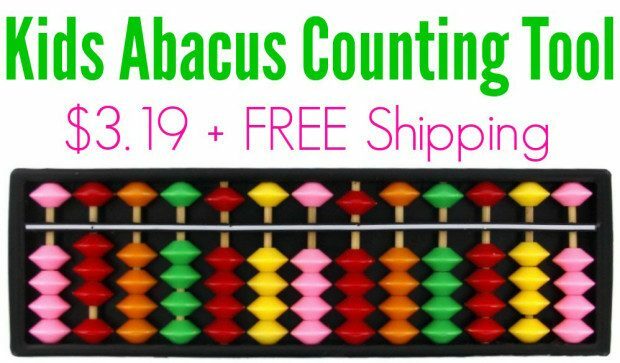 You are here: Home / Great Deals / Amazon Deals / Portable Plastic Abacus Calculating Tool Only $3.19 + FREE Shipping! Here’s a fun way to teach your little ones how to count! Grab this fun Portable Plastic Abacus Calculating Tool for just $3.19 + FREE shipping! I need to get one of these for my daughter. This is a great way for kids to have fun while learning math!